Journal Journey and Joy! : Ed Sheeran sings our "Galway Girl" in his style! Ed Sheeran sings our "Galway Girl" in his style! I can't stop writing about the song. I love the song "Galway Girl" sung by Steve Earle. I thought first I heard that Ed sings "Galway Girl" that means just he covers the song but it's his original, and it is amazing! He put many words for people who has memory in Ireland to the Irish style music. I stayed there for half the year 2016. Galway is small town located west in Ireland. After driving around Ireland, I decided to move to Galway, because there were very warm people, trad music. Fiddle is Violin, but it's not same when people call fiddle played as folk music style. The street is famous in Dunlin where the capital of Ireland. 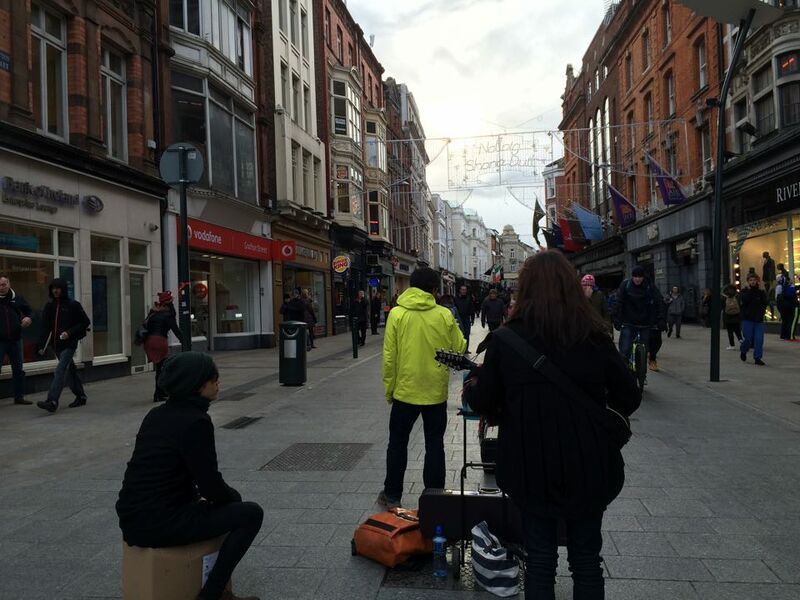 There are many buskers. We played there as one of them last year. We played Japanese song and "Galway Girl" too. For me "Galway Girl" is unforgettable music. By the way, our band's name is "Graftons" because we did our live first time on the street. Jamie means you know Jameson which is known well as Irish wiskey. You can join the old factory tour in Dublin. Arthur means Guinness as you know!! I love Guinness. Because of Guinness, I got a visa to stay in Ireland. Arthur Guinness is the founder of Guinness brewery. Van means Van Morrison well known Northern Irish musician. Céilí is traditional Irish dance, it is kind of Tap dance. This is Irish trad music. 12 March 2017 English class.